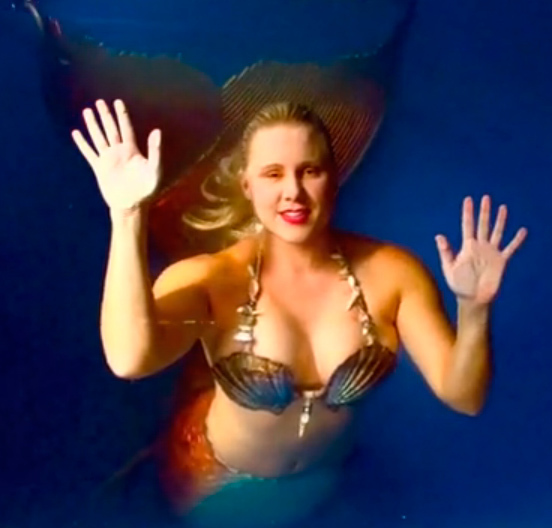 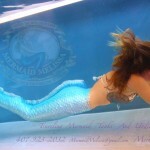 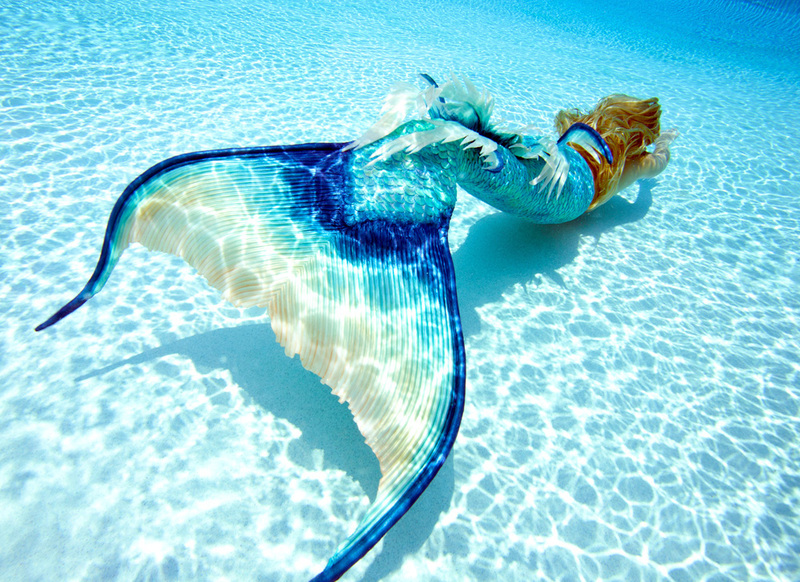 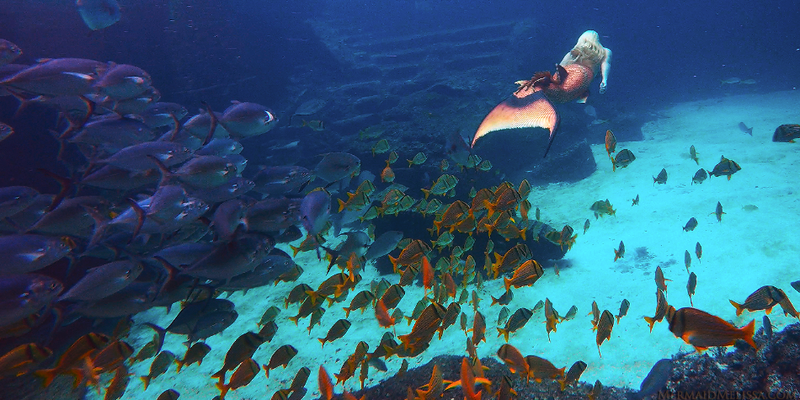 Mermaid Melissa aquatic entertainment company is licensed & certified with 10 year credentials! 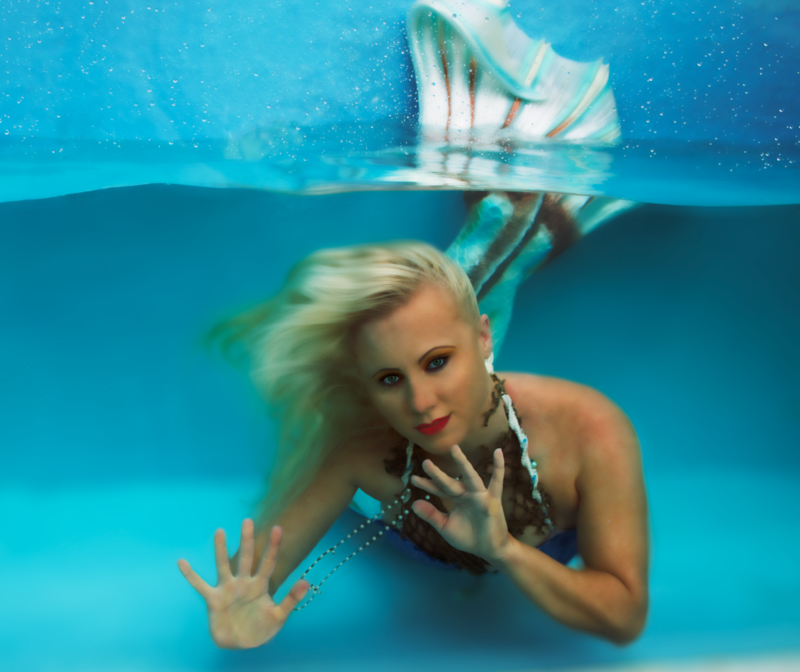 APRIL 2019 UPDATE: Tanks now for sale! 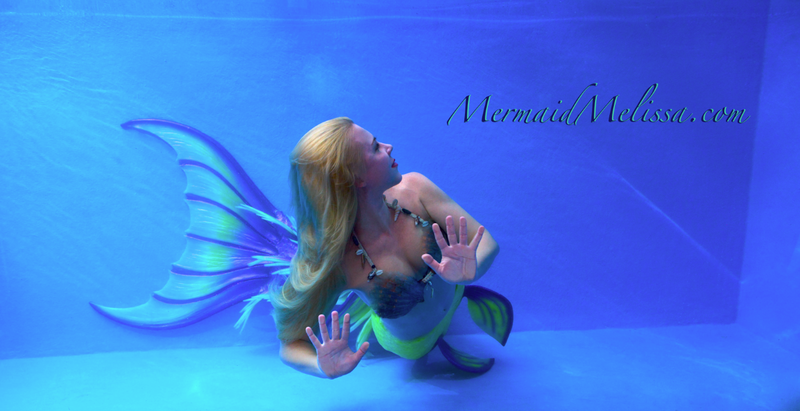 Email for pricing info! 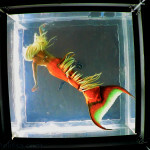 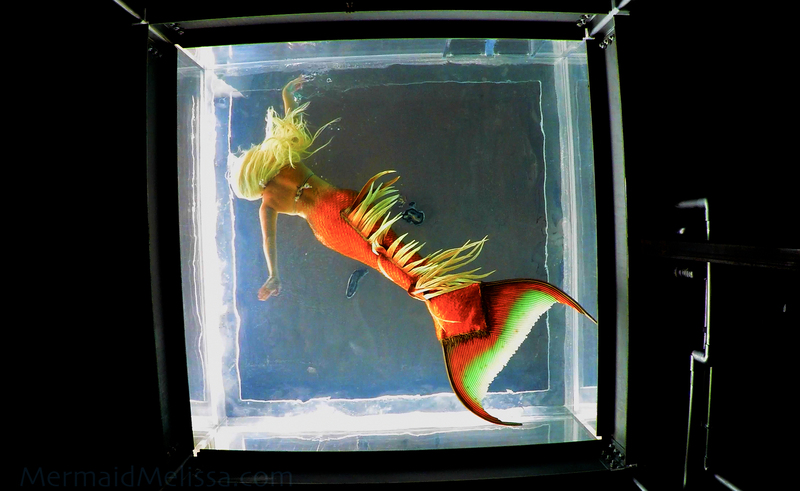 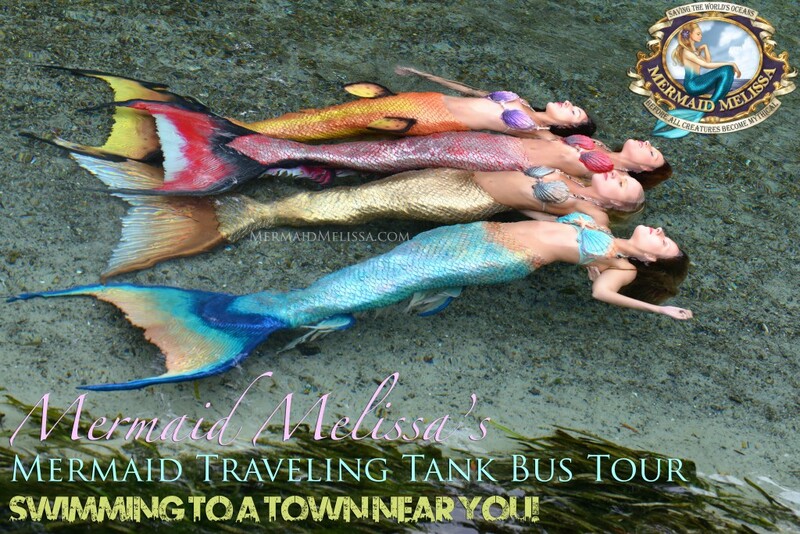 Did you know Mermaid Melissa owns 6 different styles of large transportable mermaid traveling tanks? 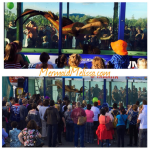 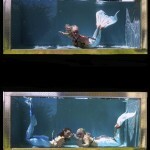 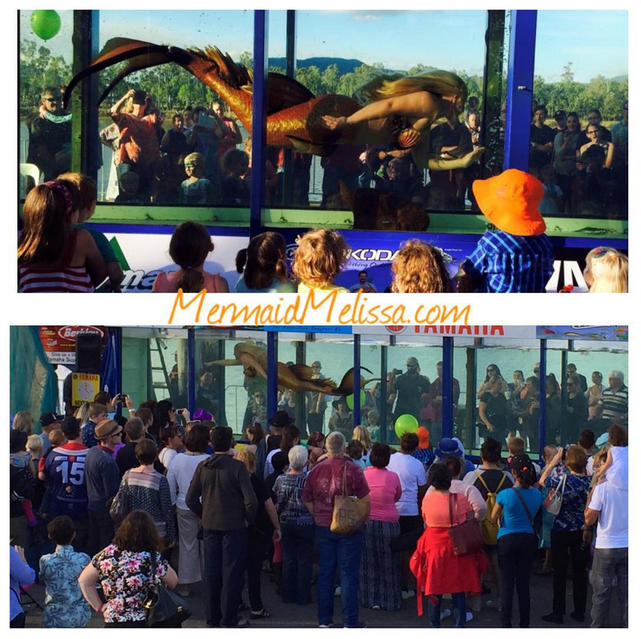 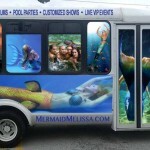 They are currently available for rent and in use for bookings around the USA in our mermaid traveling bus tour! 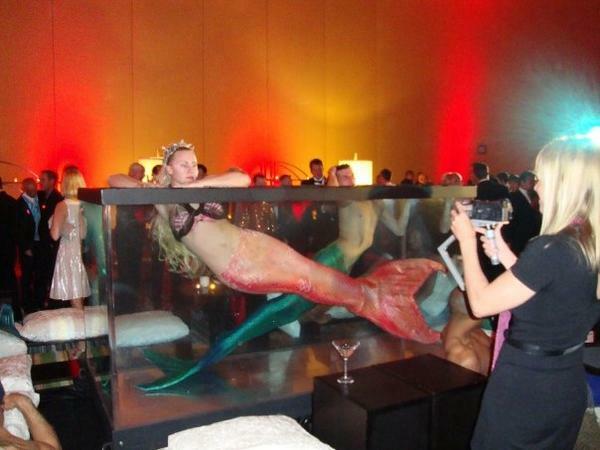 Why contact several companies to rent all the separate components for a showcase? 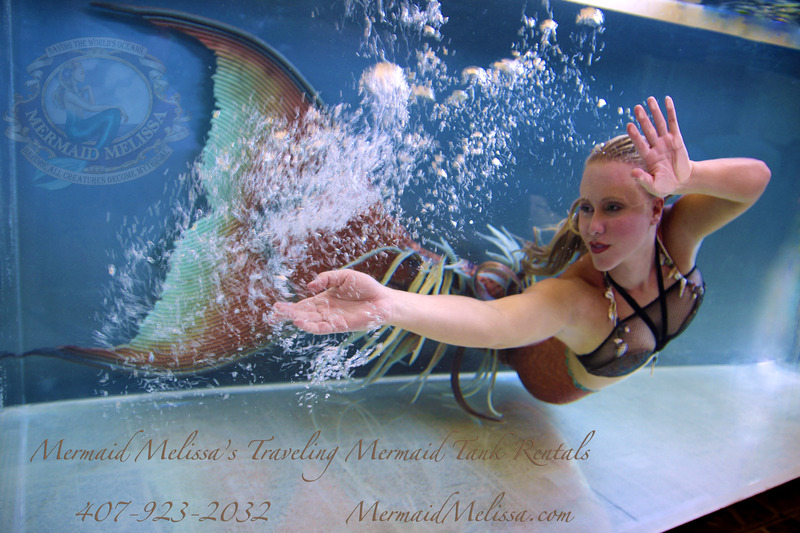 Mermaid Melissa LLC has the first and only reliable full package shows. 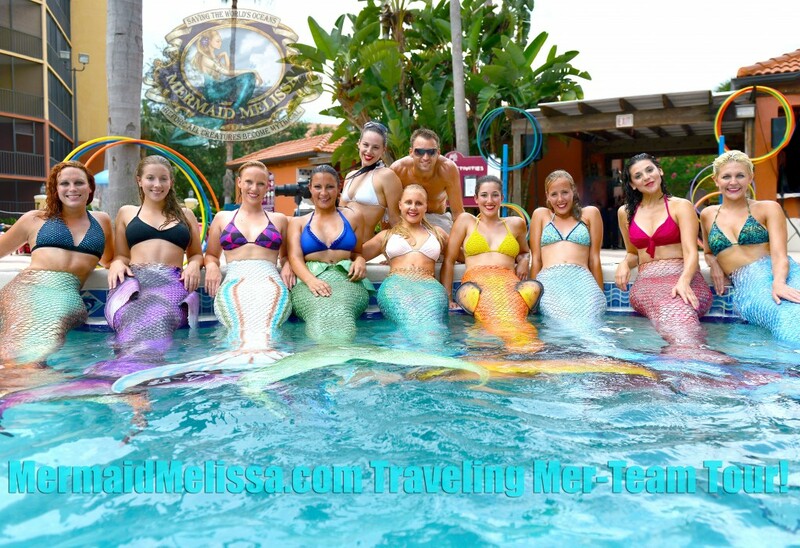 Our services include professional free divers, realistic mermaid performers, credentials spanning over 10 years experience performing in various aquariums, shows, training, & working abroad with companies worldwide! 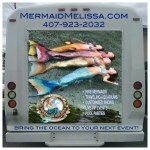 We provide quality and class as the leaders in traveling tanks & pro aquatic entertainment productions! 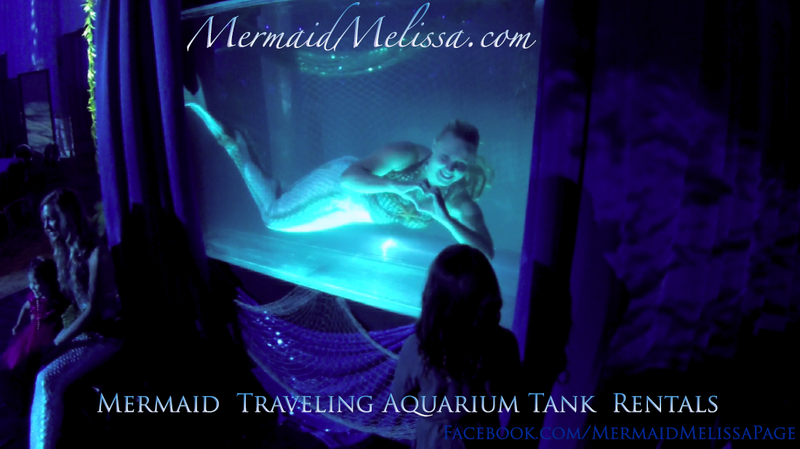 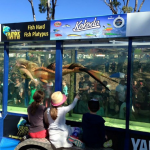 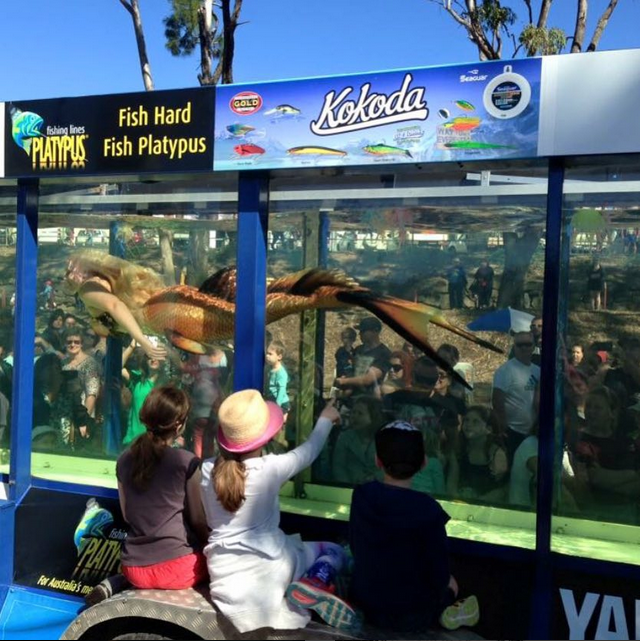 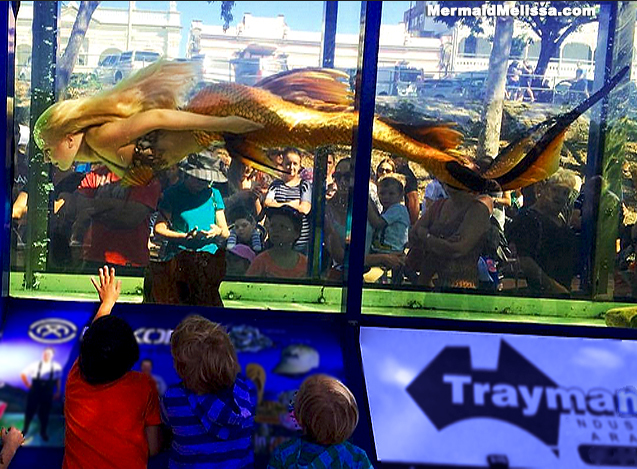 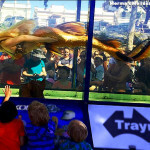 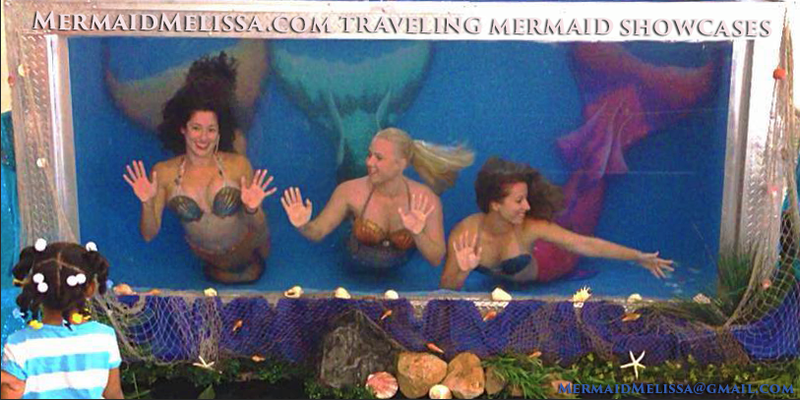 The original and only professional experienced traveling mermaid shows in a transportable tanks. 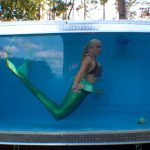 Be aware that any claim of duplication comes with complications of others not having full knowledge or understanding how each custom tank is moved safely and constructed. 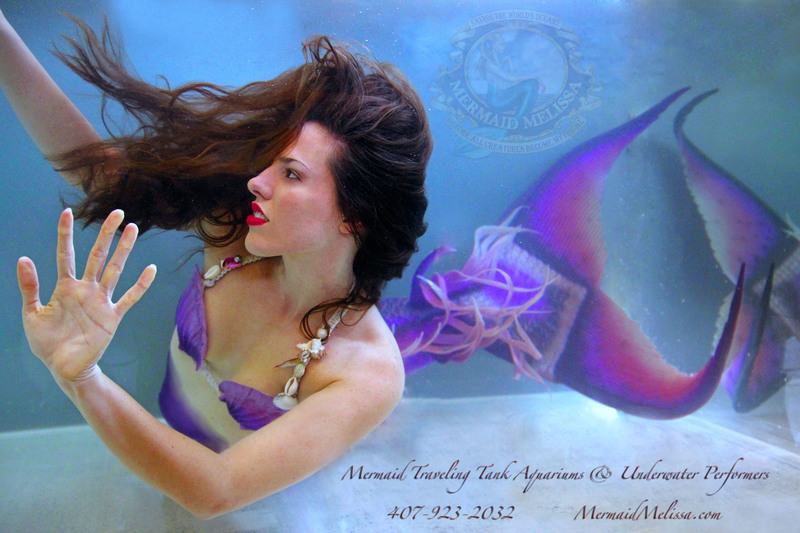 There is only one company with proof of years of satisfied customers, safety track record to back our products, video documentation proof of the years of growth with traveling tanks, and long list of client references that we have the best constructed equipment custom from the ground up. 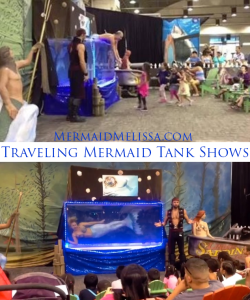 Years of upgrades has helped us perfect each tank show with the knowledge gained from setting up, maintaining, performing, and breaking down tanks at dozens of unique event locations for venue spaces indoor and outdoor. 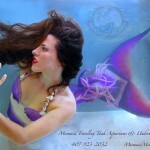 Our designs are concepts built from scratch and perfected through feedback and hands on experience. 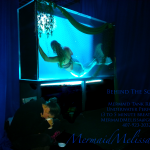 This gives clients peace of mind, that this is not just a tank set up on display… We back our services to be the only full service professional tank productions, with the best original tank show concepts, guaranteed to continue to set the bar for one of a kind innovative underwater tank showcases. 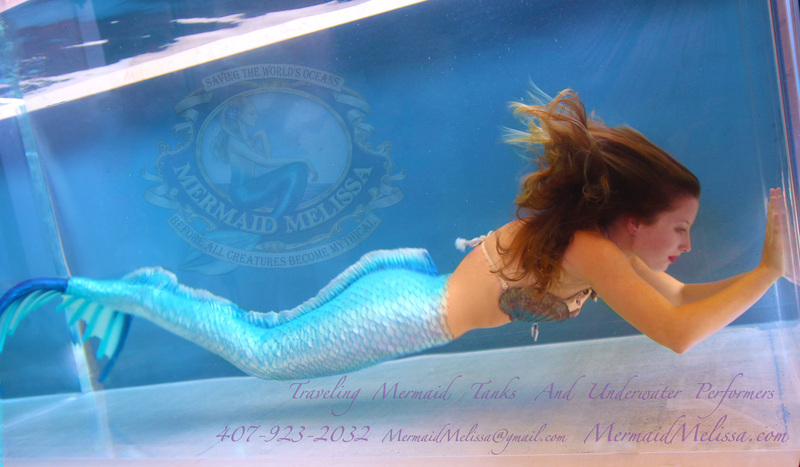 Reputable client or company inquiries can email us direct at MermaidMelissa@gmail.com for more detailed exclusive information. 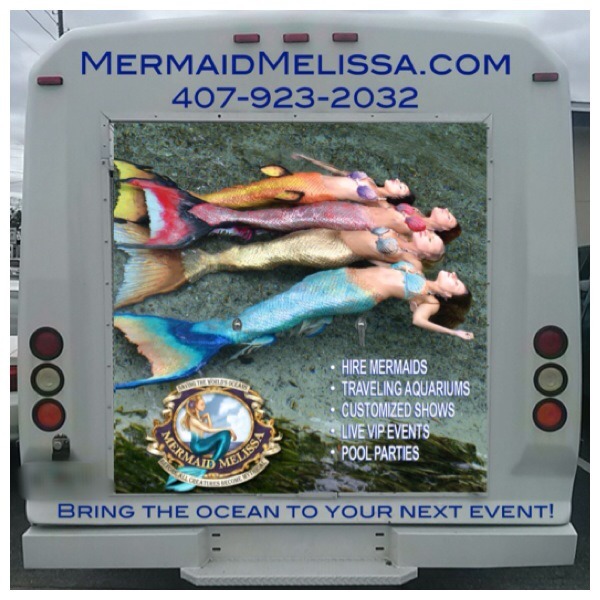 NOTE: Tank Rentals are reserved for large scale budgets due to the high cost involved in our custom quality traveling tank designs. 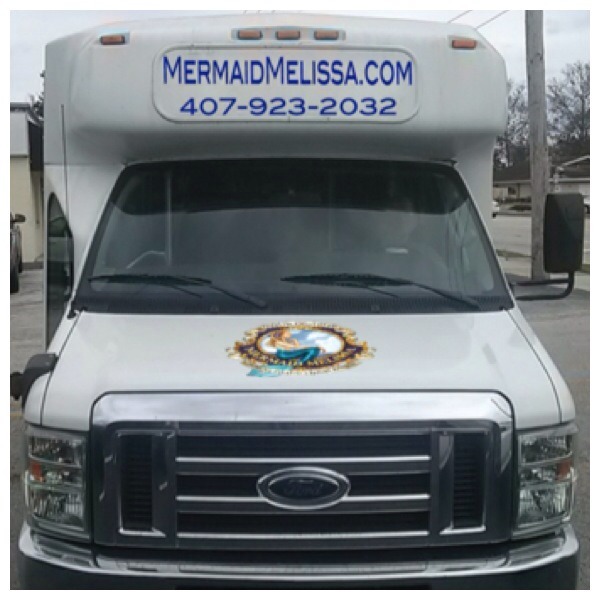 Our quotes factor in days involved for travel expenses, crew, tank performers, additional supplies, efficient set up time, on site maintenance, duration of live shows, and professional removal services. 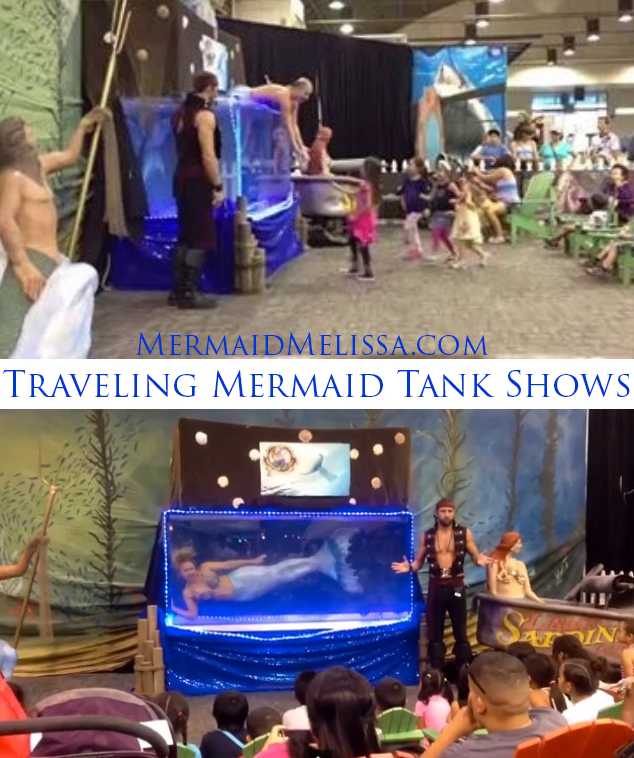 Tank Rental Pricing: Submit a direct email to MermaidMelissa@gmail.com that includes specific event location, date, and other details that can get you an accurate quote. 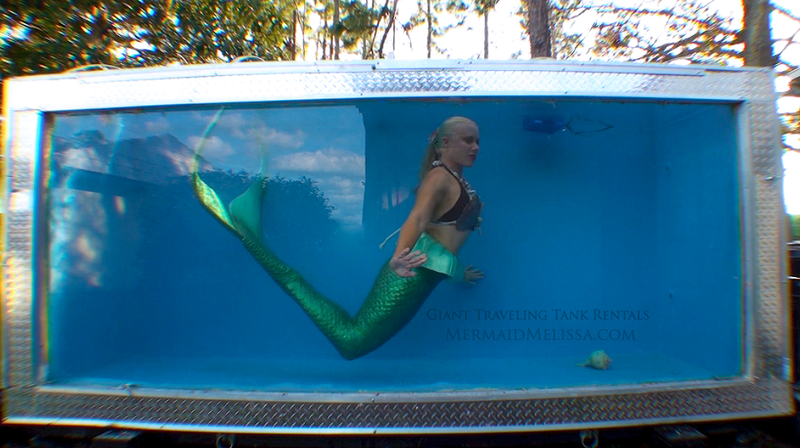 Please keep in mind tanks are for large budget projects that require fees for crew, performers, set up/removal labor, on sight maintenance, etc. 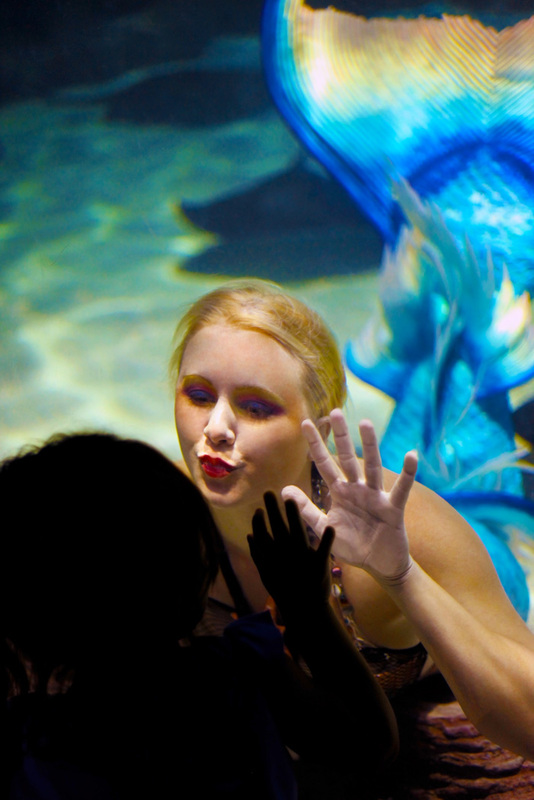 The more we can learn about your project or party, the better we can reply with a correct pricing options. 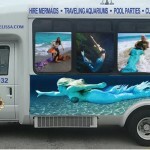 If travel is involved, those fees will be an additional cost. 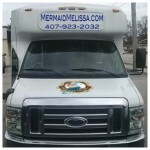 Most of our year has been booked in advance, but all inquiries are welcome to email us. 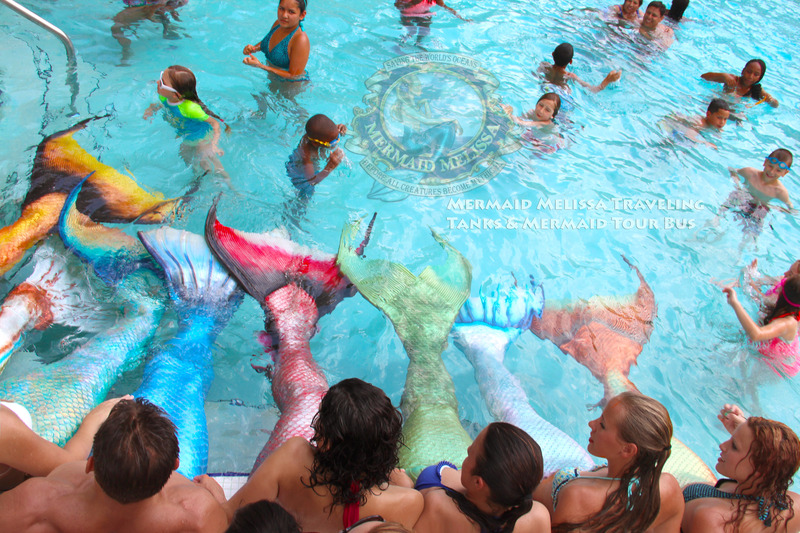 If we have the date available you will hear back with more information on the next steps to proceed with your booking.